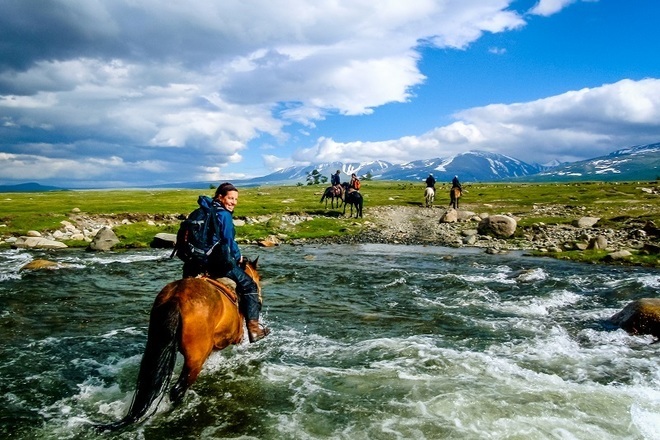 Horse trekking in Mongolia is the absolute best way to experience this incredible country. Why? Because nowhere in the world are horses more integral to peoples’ daily lives than in Mongolia. It’s said that “a Mongol without a horse is like a bird without wings”. Riding to the Mongolians is more instinct than it is a learned skill. It’s in their blood. Why walk when you can ride, as they say in Mongolia. In a country that has as many horses as people, 3 million in case you were wondering, to come to Mongolia and not ride a horse is to miss out on discovering the true spirit of Mongolia. Of the country’s 3 million people, 1.5 of them live in the capital of Ulaanbaatar, while the rest live as nomads, or in small villages dotted throughout the countryside. 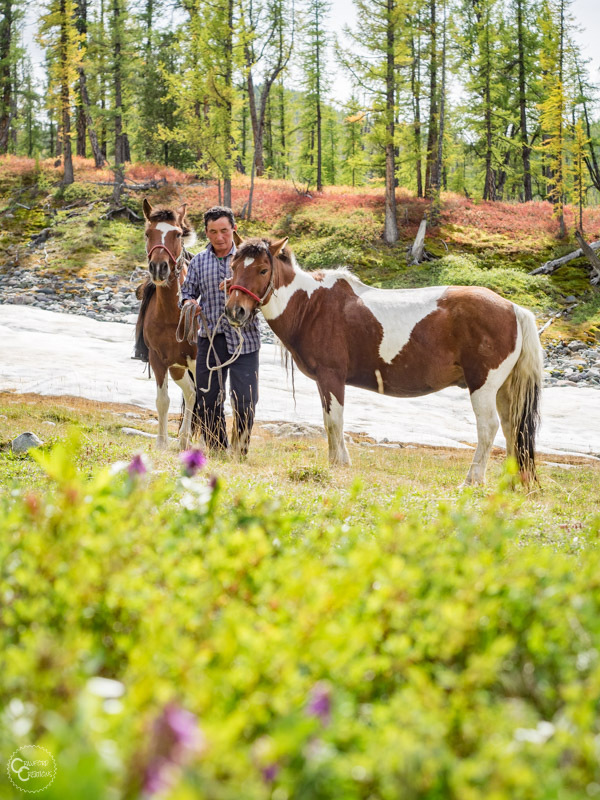 For Mongolia’s 1.5 million nomads and villagers, life revolves around horses. They’re used for transportation, herding, hunting, and sport (primarily horse racing). Children learn to ride at 3 years old and become jockeys at just 7-8 years of age. Learning to ride a horse is a right of passage in Mongolian culture, similar to riding a bike in the West. To this day every Mongolian learns to ride a horse, whether they live in the city or the country. Even if you’ve never ridden a horse before, I can’t think of a better place to learn than in Mongolia. Some locals will claim that the Mongolian horse is like a wild horse. But don’t let this scare you. What they mean by this is is not that they are wild and dangerous, but that a Mongolian horse knows how to survive in the wild. Horses in Mongolia are not kept in barns or pastures but are allowed to roam free on the vast Mongolian steppe, like the wild horses roamed thousands of years ago. Therefore, they need to have sharp instincts and know how to protect themselves from predators. But, as personalities go, the horses that are trained for riding are far from wild. In all my 20+ years of experience riding horses, the Mongolian horses are some of the most friendly, docile, and sure-footed horses I’ve ever ridden. These guys never miss a beat, and can carry heavy loads, be it humans or supplies, over incredibly rough terrain for hours on end without injury or complaint. Mongolian horses are also incredibly well trained. For a supposedly “half wild” animal, I was extremely impressed with how responsive and safe these horses were to ride. I shouldn’t have been so surprised as Mongolians are regarded as the best horsemen and women in the world. In Mongolia, horses can take you where your own two feet can not. During the summer travel season, the ground is often so wet in places that the only way to get through is by horse, and even they can sink almost up to their bellies in mud. Hiking is only possible in a few specific areas where the ground is solid. When in Mongolia, trekking is best done by horse, and man can those horses take you to some incredible places! 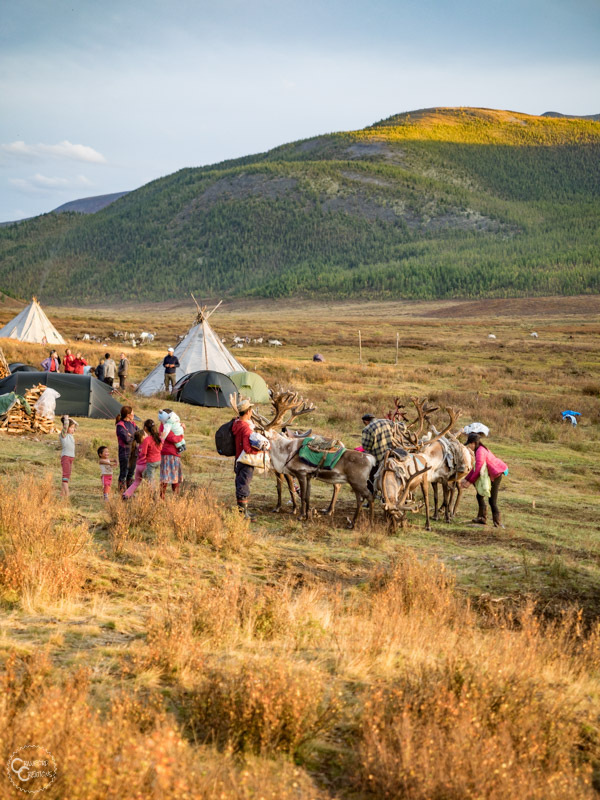 Meet Mongolia’s last remaining tribes of reindeer herders, the Tsaatan people. This unique community lives in teepees in Northern Mongolia close to the Russian border and survives completely off the grid by herding reindeer. 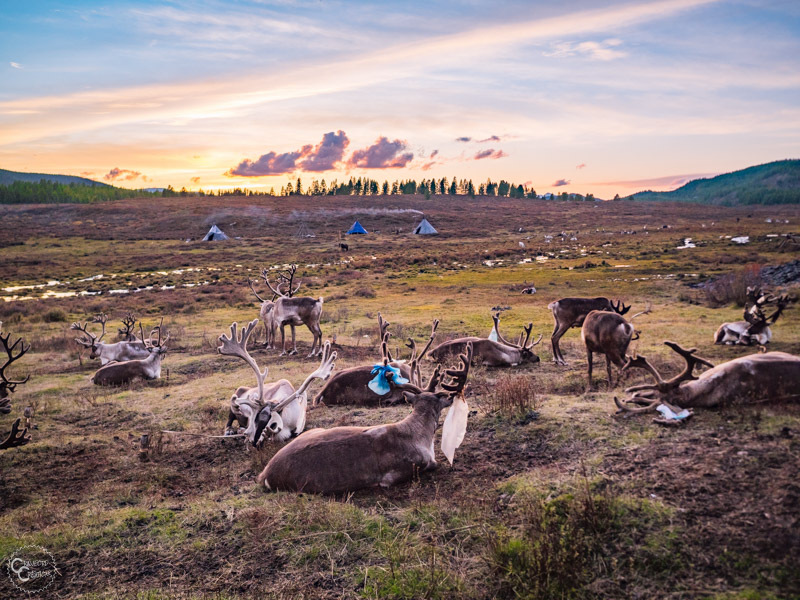 On the Mongolian Taiga, you’ll get up close a personal with the Tsaatan reindeer, taste reindeer milk tea and cheese, and even get to try your hand at milking and riding a reindeer (not at the same time, of course). Horse trekking to the Tsaatan reindeer herders is definitely a once in a lifetime trip you’ll never forget. 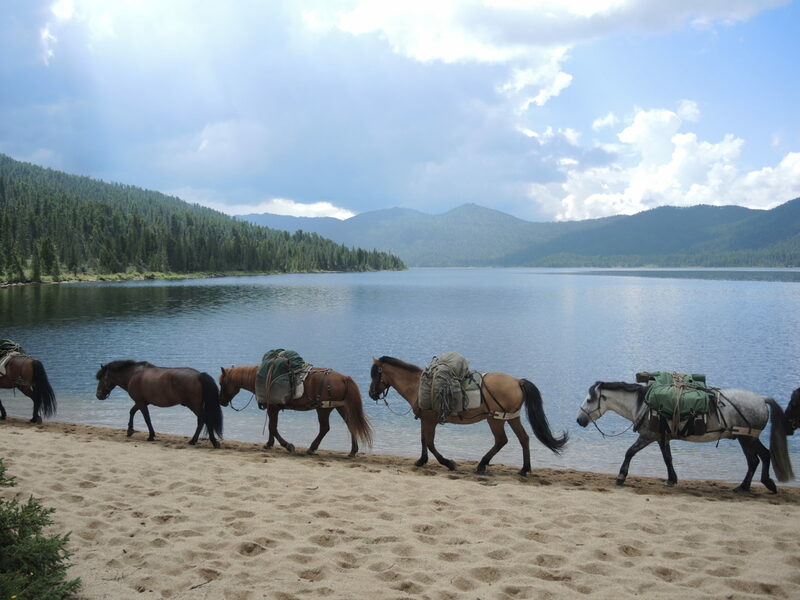 Ride horses around Mongolia’s largest and purest lake, Lake Khuvsgul. Lake Khuvsgul is the second purest lake in the world. In fact, the water is so pure you can drink straight out of the lake and not get sick. Its purity is the main reason why this lake is so revered among Mongolians. 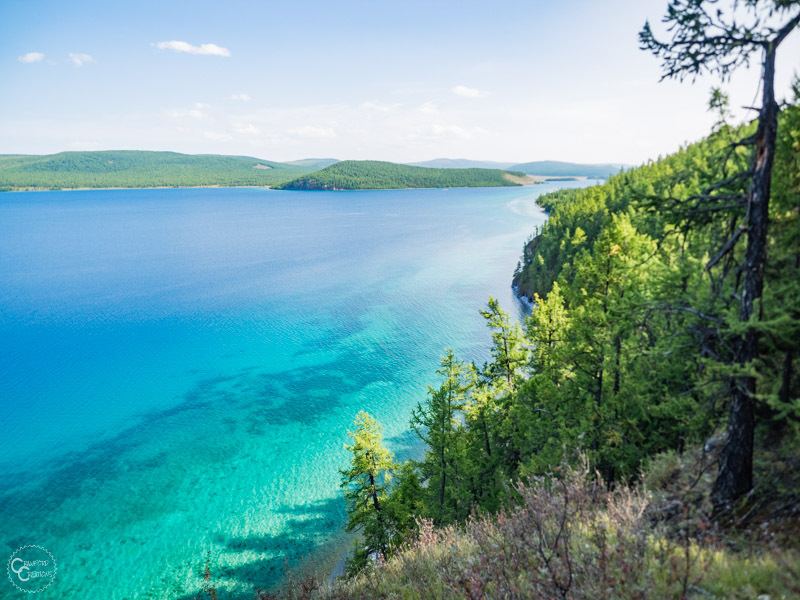 Not to mention that Lake Khuvsgul has the most gorgeous shades of crystal blue water I’ve ever seen. Trekking around the lake on horseback is one of the best ways to appreciate its beauty. 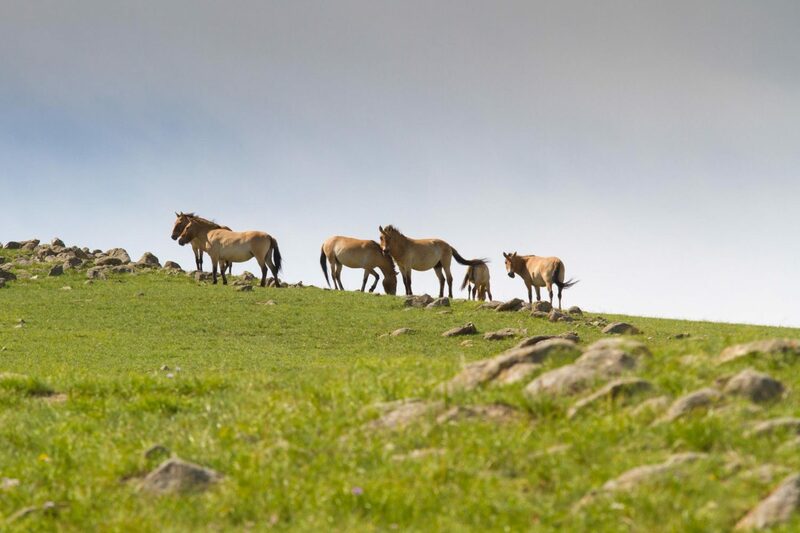 Home to Mongolia’s last remaining wild horses, the Takhi, Hustai National Park is a haven for wildlife and endangered species in Mongolia. Observing the Takhi in the wild is one of the most amazing experiences, and what better way to see one of the world’s last remaining wild horses than from the back of your own Mongolian steed. Black Mountain Lake is a 20-meter deep glacial lake surrounded by the forested Khenti Mountains. The lake is a gorgeous oasis in the middle of the mountains. Trekking here you’ll feel like you’re riding through the middle of nowhere, just you, your horse, and nature. 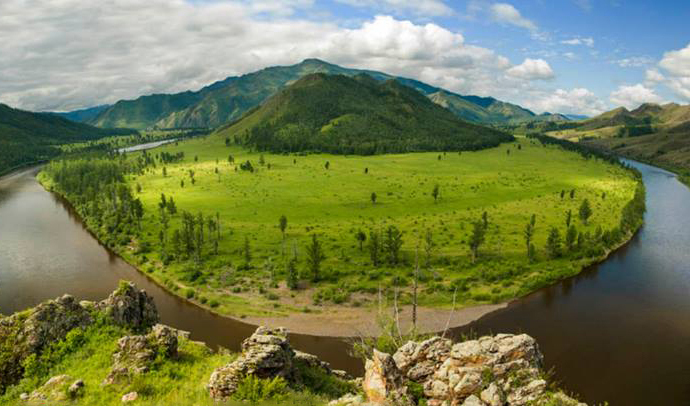 Made up of over 1.2 million hectares of land, the Khan Khenti Protected Area is a remote wilderness that is home to a wide variety of wildlife, including the endangered Mongolian brown bear. Khan Khenti Protected Area is also virtually uninhabited by humans, and hunting is prohibited (I’m guessing the two are related) making it the perfect place for wildlife to thrive. Located just 70 kilometers from Ulaanbaatar, Terelj National Park is the ideal place for travelers looking to go horse trekking in Mongolia without any long travel days to get started. Terelj National Park is a gorgeous mix of grassland, alpine peaks, pine forest and impressive rock formations. You can ride or hike anywhere within this national park, no trails needed. 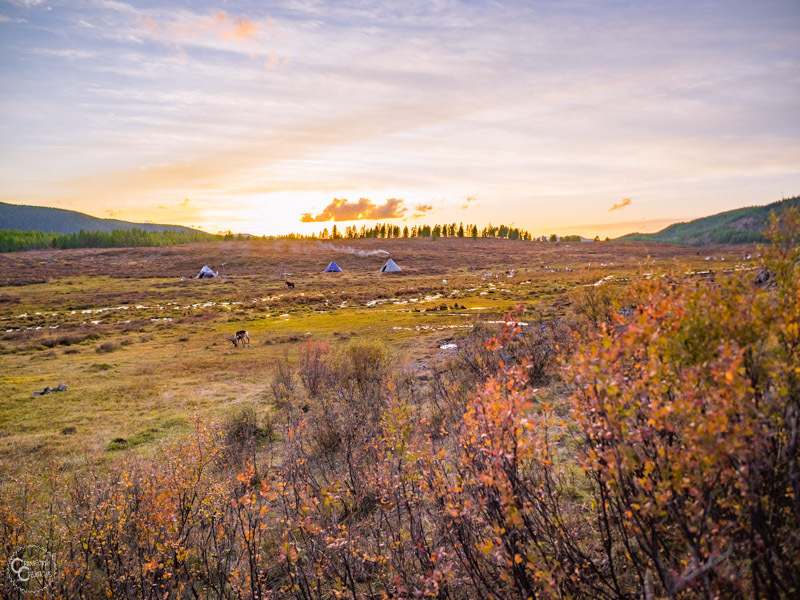 Bogd Khan Uul National Park is essentially a national park built around the Bogd Khan Mountain, one of Mongolia’s 3 sacred mountains. It’s also the oldest legally protected natural landscape in the world, having been declared a protected site by the Qing Dynasty in 1783. 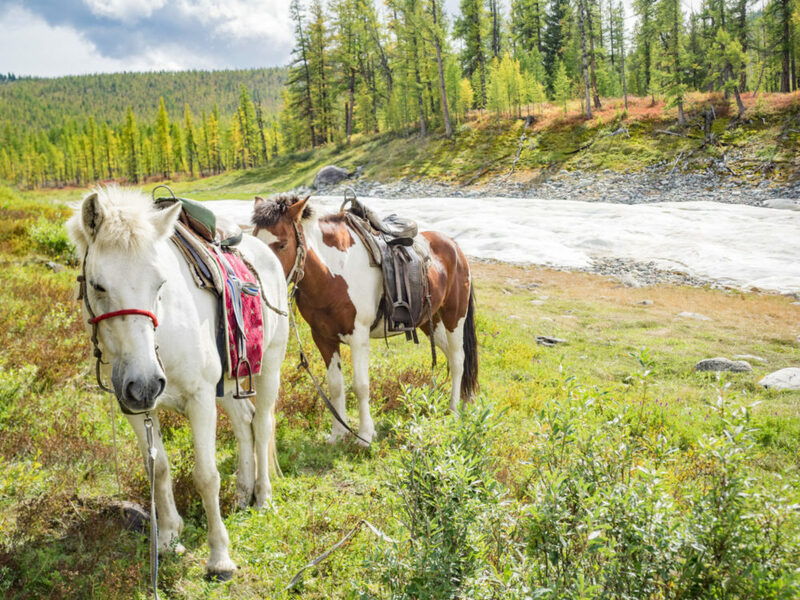 Located just outside of Ulaanbaatar, Bogd Khan Uul National Park is another great place to go horse trekking that doesn’t involve any long travel days to get started. 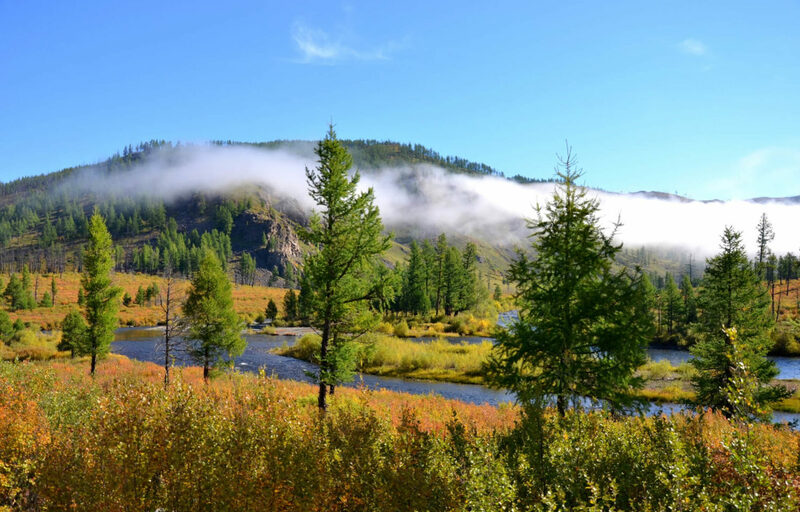 Altai Tavan Bogd National Park has one of the most stunning natural landscapes in all of Mongolia, the snow-capped rocky mountain peaks of the Altai Mountains. 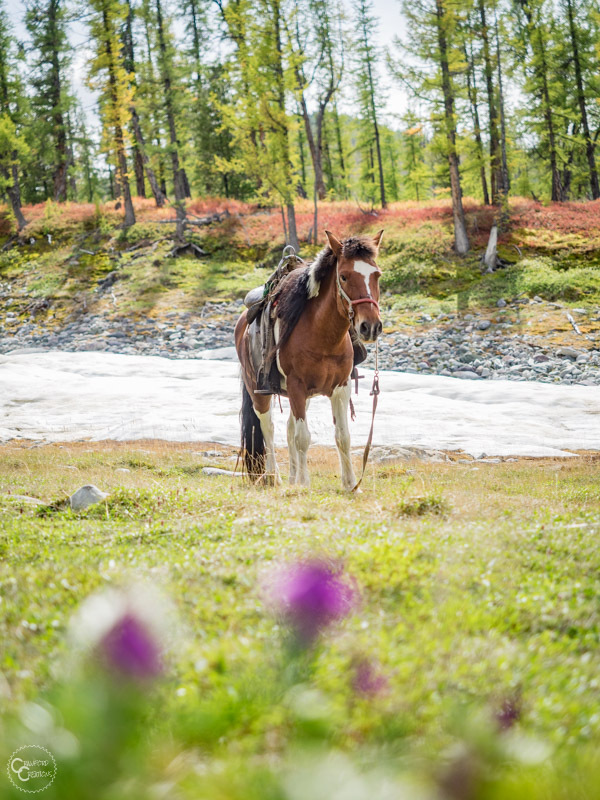 Riding through Altai Tavan Bogd National Park is an absolutely awe-inspiring experience. You’ll see golden eagles soaring through the air, and ride past glaciers, lakes, rock carvings, and numerous 4000+ meter (13,000 ft) tall mountains. 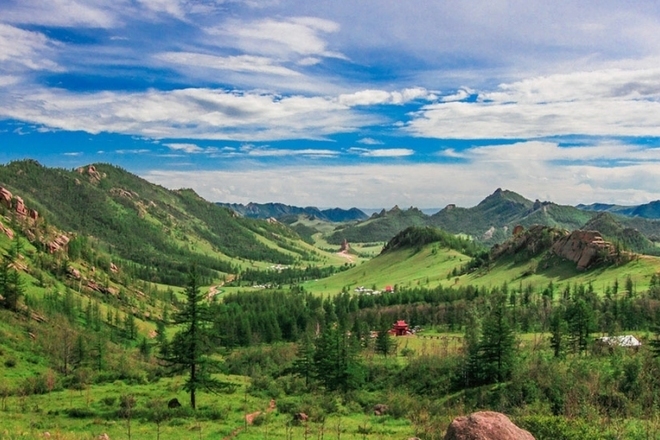 These are just some of the more epic places you can visit on horseback in Mongolia. In reality, anywhere there’s grass for the horses to eat you can go horse trekking. It doesn’t have to be in any specific national park. 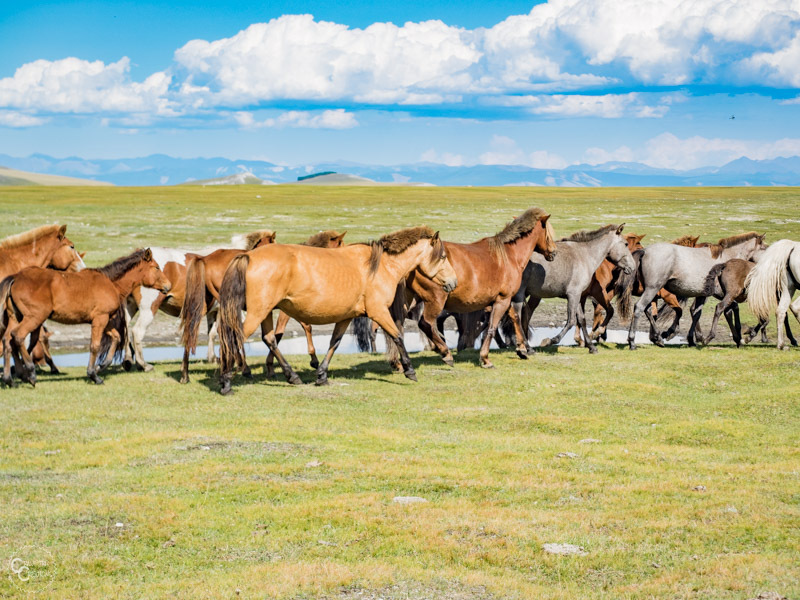 The best time to go horse trekking in Mongolia is in the summer and early fall from June – October. I wouldn’t recommend going horse trekking outside of that range unless you’re really comfortable with and super prepared for cold weather. Average high temperatures in the Mongolian countryside in the winter time are a frigid negative 20 degrees C (negative 4 degrees F) with lows between negative 30 – 40 degrees C (negative 22 – 40 degrees F). When I visited the Mongolian Taiga at the end of August temperatures were already dipping close to freezing at night. How Many Days Do You Need To Go Horse Trekking In Mongolia? It depends on where you want to go. To visit the more remote areas such as the Taiga, Lake Khuvsgul, Altai Mountains, and the Khan Khenti Protected Area you should plan to spend AT LEAST 1 week to make the trip. 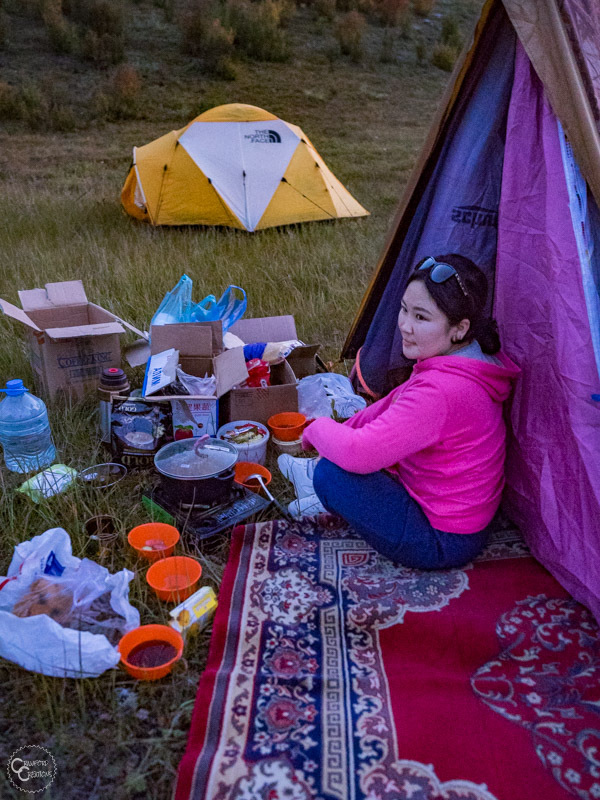 To visit the parks closer to Ulaanbaatar such as Gorkhi Terelj National Park, Hustai National Park, and Bogd Khan Uul National Park you only need 2-5 days depending on how much you want to see. 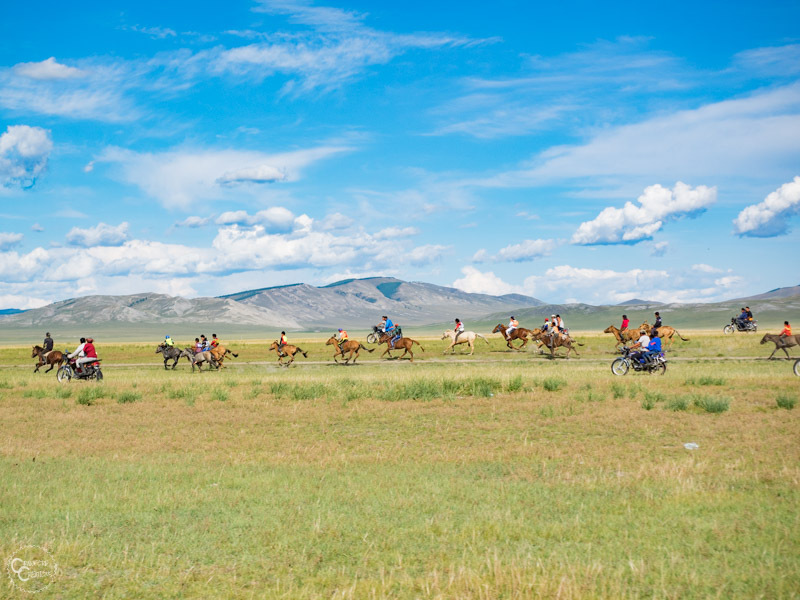 There are two ways you can go about riding horses in Mongolia. One is to book a tour, either directly through a tour company or through your accommodation in Ulaanbaatar. And the other is to go solo, buy a horse, and do an independent trek. 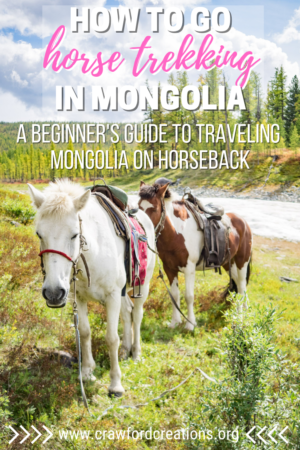 Which one you choose depends on how experienced you are with horses, how good your navigational skills are, and how much you value having an English speaking guide to teach you about the Mongolian landscape, customs, and to help you communicate with the nomads. To book an organized tour, I’d recommend checking out Tour Mongolia, Steppe Riders, Stone Horse Expeditions, and Horse Trek Mongolia. To get started planning your own independent trek, contact Steppe Riders. They provide complete training on how to complete your trek and can provide you with horses and gear for the duration of your trip. Alternatively, you can also wait until you get to Mongolia and plan your trip in person through your hostel or hotel in Ulaanbaatar. If you’re looking to book an organized tour with a more reasonable price tag this is your best bet. Mongolia is a big country, area-wise, and is home to just 3 million people, half of whom live in the capital city of Ulaanbaatar. The result of this is that most of the country consists of nothing but gorgeous natural scenery. And when I say nothing but, I really do mean nothing. No plumbing, no electricity, no internet, extremely spotty phone service, no hotels, no toilets, and no restaurants of any kind are available in most of the country. This is not a luxury trip. Have no doubts, you will be roughing it. During my trip to the taiga, I went 7 out of 10 days without a shower and 8 out of 10 days without a toilet just to give you an idea what to expect. You’ll be camping for most of your trip, whether that’s in a tent, ger, or teepee. As for riding, expect anywhere from 3-7 hours in the saddle per day depending on your specific tour and how far the route is. If being dirty and foregoing your comforts sounds like a small price to pay for riding horses through vast open steppes and mountains of Mongolia then this is the trip for you. Riding a Mongolian horse is actually quite simple, even if you’ve never ridden before. Here’s what you need to know. To get your horse to move, simply tap both legs against the side of the horse at the same time and say “chu”. To stop your horse, pull back on both reins at the same time and say “whoosh”. To turn your horse left, simply move your hand to the left, pressing the right rein against the right side of the horse’s neck and pushing their neck to the left. To turn right, move your hand to the right, pressing the left rein against the left side of the horse’s neck and pushing their neck to the right. Do You Need Prior Horse Experience To Go Horse Trekking In Mongolia? No. In fact, most tourists that go horse trekking in Mongolia have little to no experience riding horses. Of course, having prior horse experience certainly helps. If you’re already comfortable around horses and know how to ride your trip will be much more fun as you can do a lot more on horseback. Having prior experience will also put you at ease when it comes to navigating rough terrain, such as river crossings. After riding horses for over 20 years, including doing a horse trek of my own in Mongolia, I’ve got some tricks up my sleeve to help beginners fast-track their way to equestrian success. Horses feed off of your energy, so if you’re nervous, they will be too, and they’ll subsequently be more likely to spook, jump sideways, or run off, all things you don’t want them to do. Relaxing will also help you to better follow the horse’s movement, which will be extremely helpful if you get the opportunity to trot and canter. Your horse knows the terrain in Mongolia a lot better than you do, so trust him. He’s crossed many a river and gone up and down countless muddy mountain slopes with no issue. Your horse knows the land like the back of her hoof, so don’t worry. Not all horses are perfect angels. Some horses can sense that you don’t know what you’re doing up there and will try to take advantage of that fact by maybe constantly lowering their head to eat grass, or outright refusing to move for example. If this happens don’t be afraid to give a firm tug upwards on the reins to pull their head up from the grass, or yell “chu!” and give them a firm bump on their side with your heels to get them to move. As long as you don’t explode in a raging fit of anger you won’t hurt your horse, I promise. Once you get on the horse, position the stirrups on the balls of your feet and push your heels down. This will keep you balanced and secure in the saddle. Just trust me on this one. Riding for hours on end will cripple your knees if you keep them bent at the same angle for 5 hours without a break. Your knees are your primary shock absorbers on a horse, and they will get tired, even for people like me who have ridden a bunch in their life. Stretch frequently and all will be good. In general, you’ll want to make sure you pack light. All of these trips, no matter where you go, have at least some portion where your stuff can only be transported by pack horse. There’s not much room on a pack horse so you won’t be able to bring a rolling suitcase full of stuff. It’s best to pack your stuff in a small, soft backpack or duffel bag. Whatever you do, do not bring a hard-shelled suitcase. A down sleeping bag like this one would be perfect. Check out this bag from Coleman on Amazon here. I wish I had brought my warm packable down jacket just like this on our trip for those frosty nights and mornings. It’s lightweight, super warm, and packs down small in your bag. You can check out this down jacket from Columbia on Amazon here. You’ll want one that will protect your legs when riding like this one. We have one just like it, and it’s great not just for riding, but for hiking and cycling as well. Click here to find this awesome rain poncho on Amazon. This is to keep the sun out of your eyes, protect your hair from getting caught in branches in the forest and to keep the hat from flying off of your head in the wind. This lightweight foldable sun hat would be perfect for horse trekking. Click here to find this sun hat on Amazon. Most tours in Mongolia do not provide helmets for riders, as Mongolians don’t ride with helmets. In the US I always ride with a helmet, but I did forgo it on this trip, mostly because helmets are such a pain to travel with. A bike helmet would also do for this trip. 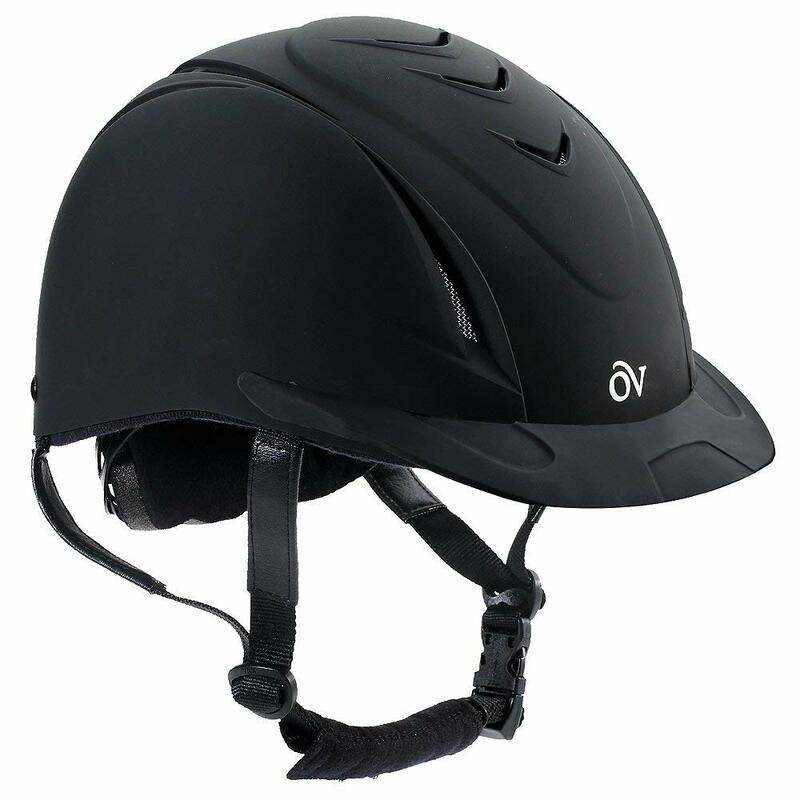 Click here to find this awesome riding helmet on Amazon. Wearing gloves will protect your hands from getting scraped against brush in the forest as well as from getting rubs from holding the reins. Any thin glove with grip on the palm will work. Leather gloves are also great if you have them. If you don’t have anything already that will work you can click here to find these, cheap, durable, good quality riding gloves on Amazon. Any type of Nalgene or plastic sports bottle will do the trick. It just needs to be durable and reusable. We prefer to use squeezable plastic bottles as they’re much easier to drink out of while riding. Click here to find this refillable squeeze bottle on Amazon. These could be specific leather riding boots (you can also buy a pair in Mongolia) or rain boots. The boot just needs to be fitted to your foot so that it fits in the stirrups and have a heel so that your foot can’t slide too far forward in the stirrup or get caught in the stirrup if you fall. These short riding boots are super comfortable and really easy to travel with. Not to mention they’re really versatile and can be worn for more than just riding. Click here to find these awesome riding boots on Amazon.